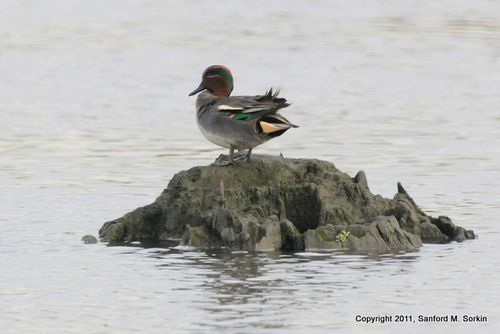 Sandy Sorkin took these neat shots of the Eurasian Green-winged Teal at Mill Creek Marsh this week. 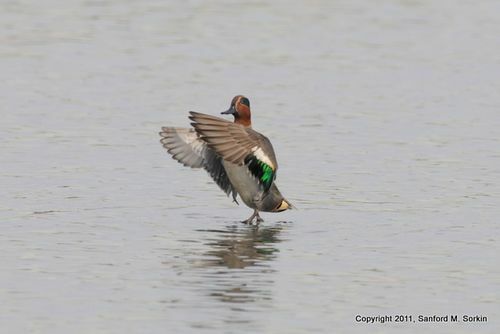 Clear diagnostics in these pix (white horizontal wing bar, prounounced yellow striping on the head…. Thanks Sandy. Love the shot with the EG-W taking off. This blog makes me realize the energy of words and pictures. It’s very beneficial for me, Thank you for sharing!